We have provided exceptional landscaping services to a wide range of residential and commercial properties for over 14 years. Our experienced landscapers set the standard each day in landscape design and installation. We will whip your yard into shape in no time! Thank you for sharing your garden with us. 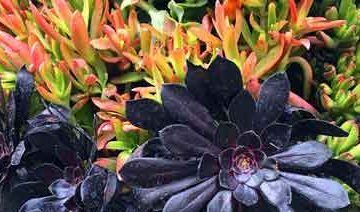 My Botanica, Inc. was founded in 2002 by the husband and wife team of Facundo and Luz Malbrán and is based in Laguna Beach. At the core of the organization is a commitment to the principles of responsible environmental stewardship. 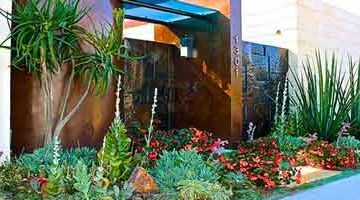 Over the last 14 years, My Botanica has provided high-quality, environmentally friendly design, construction, and landscaping services to numerous discriminating clients, many of them their neighbors in the vicinity of Laguna Beach. Facundo was born and raised in Córdoba, Argentina and is an agricultural engineer and landscape designer with over 20 years of experience. He is a tireless worker, and extremely dedicated to growing My Botanica in a sustainable manner. Additionally, he takes the relationships developed through My Botanica beyond business and counts many of his clients as close friends. Luz, born and raised in Orange County, California, is a former English teacher and Spanish translator, who now manages office operations at My Botanica, including website and online shop development. We are a landscaping company that specializes in residential and commercial landscaping and maintenance. We offer high quality, environmentally friendly services and products. We offer free consultations and a quick turnaround for your quote, normally within 24-48 hours. My Botanica is a fully licensed, bonded and insured landscape contractor. We have earned a reputation for exceptional service and beautiful work. We are happy to provide you a list of references upon request. We take great pride in the work we do. All our projects are finished on time and within budget. My Botanica is a very good landscaping company. They do tree removal also. We liked them because all the employees are hard working, honest and reliable. They always come on time, and the prices are good too! What a great job carried out by My Botanica. From the initial planning to completion. Always on time, and left the site spotless on completion. We definitely going to use your landscaping services again in the future!